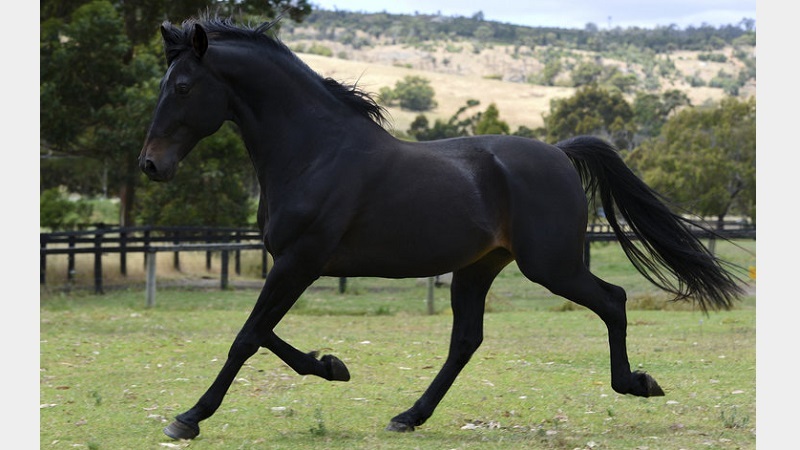 Descending on his dam’s side from Parisienne, one of the gems of the Australasian Trotting Stud Book, Lombo Mandingo is one of the first sons of the percentage sire Million To One (1:52.6), and the winner of $155,498, to become available to breeders in Western Australia. 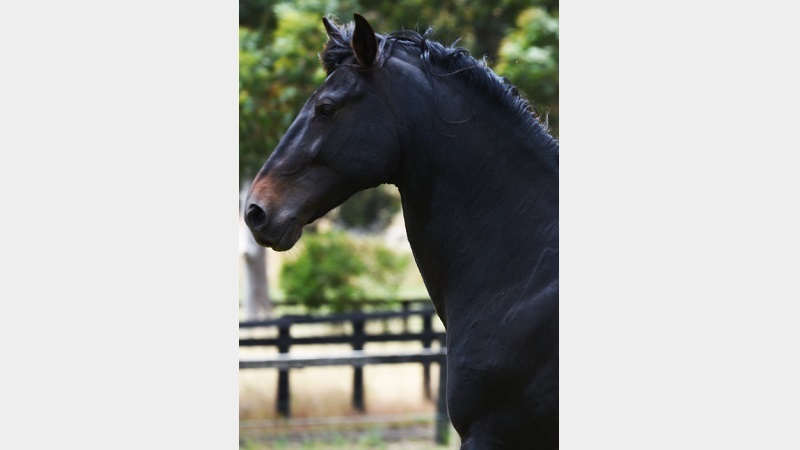 A stunning individual, Lombo Mandingo was a top youngster himself, winning close to $220,000, and he was a multiple Group 1 heat winner and finals placegetter at both 2 and 3 years. Lombo Mandingo is a son of Louisiana Lombo (2:01.5), the dam of three in 2:00 and grand-dam of two in 2:00, by the dual Vicbred champion Double Wipe (1:59), from a top racemare in Smooth Gale (TT1:58.8), the dam of four in 2:00, including the Derby winner Misty Maiden (1:59.4), dam of the great Lombo Pocket Watch (1:53.6), Australia’s first millionaire three-year-old. Parisienne, founder of the family from which Lombo Mandingo descends, has more than 100 2:00 performers tracing back to her. 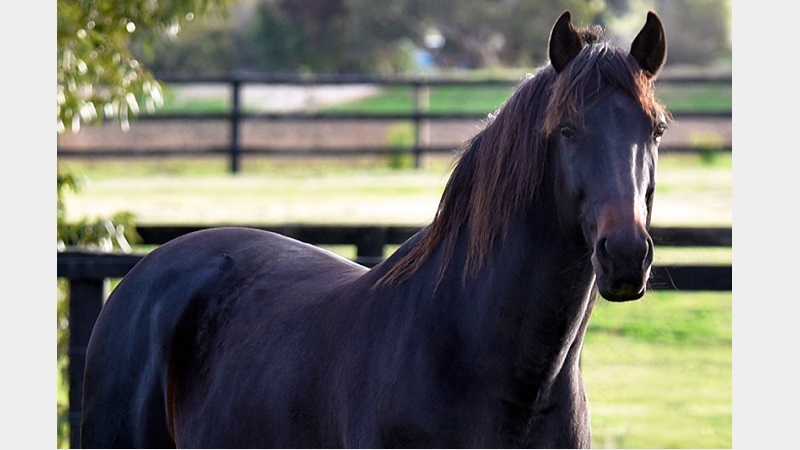 Million To One was prominent on the sires’ list in WA for many years, the 2000 champion three-year-old, Rich And Spoilt (1:58.2), being one of his most brilliant sons. Lombo Navigator (1:53.3), Leilani Lombo (1:57.4), Buck The Odds (1:55.6) and winner of an Inter Dominion heat, Mo Cushla (1:52.4), Lady De Beau (1:56.2) and Atlanta Georgia (1:57.7) are but a few of his 2:00 performers. 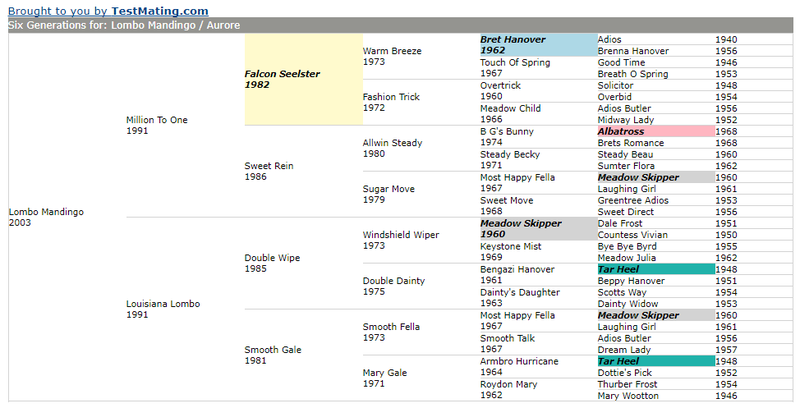 Million To One has been a successful broodmare sire from limited opportunities. 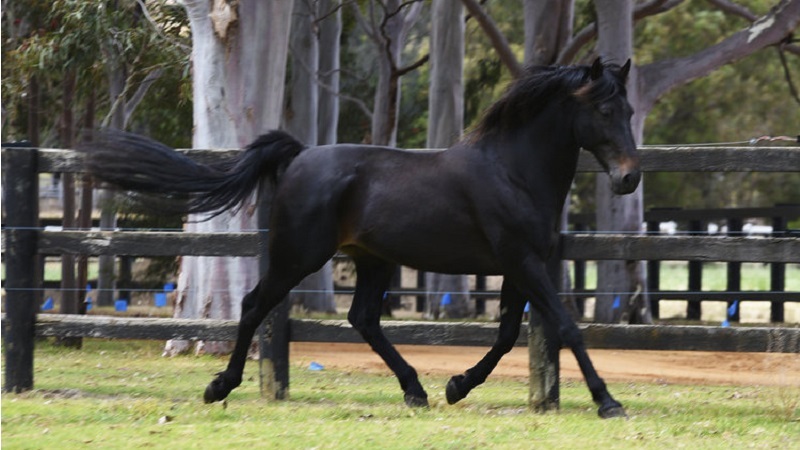 His broodmare credits include Schinzig Buller (1:56.1), winner of the Golden Nugget, Ballas Arockstar (1:58.1), Polak (1:52), Magic Moment Lombo and the smart Victorian pacer Wingara (1:51.2). 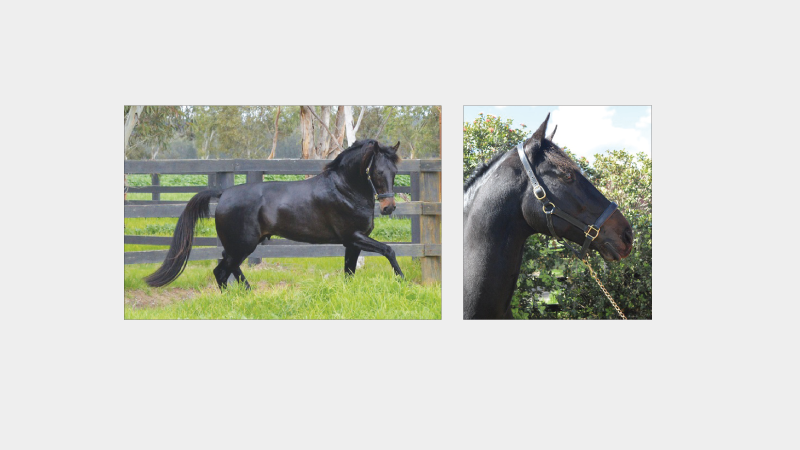 Lombo Mandingo’s oldest stock are seven-year-olds and include the SA Golden Nursery winner Concorde Crest, the classics heat winner Miz Lulabell Lombo (1:56) and Lombo Yanky Invada.